There are many great things about living Up North; the natural beauty, the tranquility. Among those great things, something important is missing. Something called Great Pizza. We just don’t have it, even across the bay in the big metropolis of Petoskey where a clay oven awaits greatness in one of the restaurants, one finds nothing there but disappointment. I don’t want a cracker for my pizza, which is what they want to serve. And I don’t want a doughy, watery tasting chew. I want something in between. I feel like begging Greg at our incredibly good bakery, Crooked Tree Breadworks, to start in with the pizza. I may not have experienced much in the way of neighborliness in Chicago, but the pizza makes up for it. I hunt down the thin crusted Neapolitan pizzas there, having had one too many slices of lukewarm office-lunch deep dish or worse, cheese-stuffed (Peg and I have a sign of hand to throat with a deep glotteral sound just for this pizza; it means: too, too much). Even when I lived in San Francisco, one of my favorite me-treats was to slip around the corner for my own pizza at the Delfina outpost on California Street (and if I was going big, I’d have the sundae with Amarena cherries on top). Of course, stellar pizza is all over the place in Roma. When I was there with my family years ago, I had some of the finest pizza of my life at the Vatican cafeteria. A plum plucked from the cafeteria shelf in a little white bowl still lingers in my mind as the best plum I’ve ever eaten. Perhaps we were just worn down by the tremendous walk they force you take through the entire museum before you can see the Sistene Chapel, and my papa was none too pleased, asking–no, demanding–the security people to let him the hell out. He was using some kind of Arabic-Italian accent when he spoke, which made us all laugh hard. This moment commands my deepest respect for my father because he was gravely, deathly ill and we did not know it, he did not know it. Just knew he didn’t feel well one bit and needed to sit down immediately. But still his humor was willfully intact. It’s one of those gifts of life he gave that I carry with me as a how-to totem: try hard not to lose your humor. Perhaps even better than the Vatican pizza was the pizza we ate, most of our whole clan, standing in line at the Accedemia outside to see Michelangelo’s David. All of that waiting in line over there works up a good appetite, and time to eat if you send the sisters off to find the pizza that looked so good at a corner pizzeria we passed walking the cobbled Roman streets on the way there. The David was a knock-out, but so was that pizza. Lebanese man’oushe, wildly popular in Lebanon for breakfast and all day long, is, it hit me recently (and not before now and I don’t know why), pizza. Because pizza is flatbread and man’oushe is flatbread and we are all crazy for it, everywhere. Especially topped with cheese. There’s a new spot in New York called Manousheh NYC that’s going to cause a sensation, I just know it, over our version of pizza. Now, there is a lot, a LOT to do with pizza dough the world over. We’re talking type of yeast, time and temperature as the most important ingredients, fine Italian 00 flour, all of that. I think I need a deep winter’s solitary week Up North to dive equally deep into that kind of exploration. For now, I want my flatbread, my pizza, my man’oushe the same way I want my za’atar flatbread: badly. 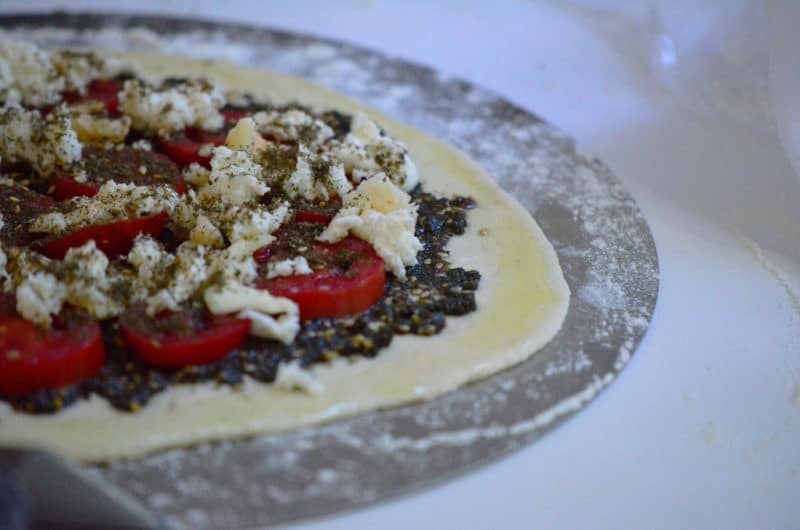 In fact, I want za’atar on it, such a natural with the cheese and fresh tomatoes. I made a whole line-up of grilled pizzas (15? 20?) for the family back in July, using what turned out to be a nearly unworkable droopy dough that did taste, though, delicious. The best of those pizzas for me were the ones without tomato sauce, just oil and cheese and perhaps some marcona almonds and arugula. I’ve been wanting that grilled delight—or just any good pizza—again (and again). Now in the sane confine of just a couple of us here, I can use the man’oushe dough that produces such a wonderful crust by combining regular flour with cake flour, and the fresh little Roma tomatoes that are intensely flavored of summer. 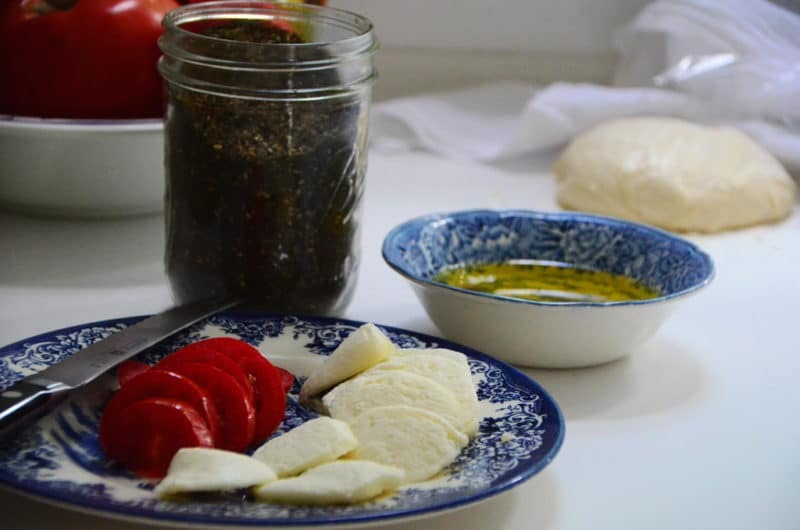 Fresh mozzarella, and a healthy sprinkle of my za’atar to bring the trifecta of favorite flavors together, and it’s as though we’re somewhere else eating what doesn’t seem possible at home, but it is, it is. Use the grill outfitted with a baking stone to get higher temps than most ovens, and in turn a crisp-bottomed but chewy crust. An overturned heavy-duty sheet pan, preheated in the grill or oven, will also work. 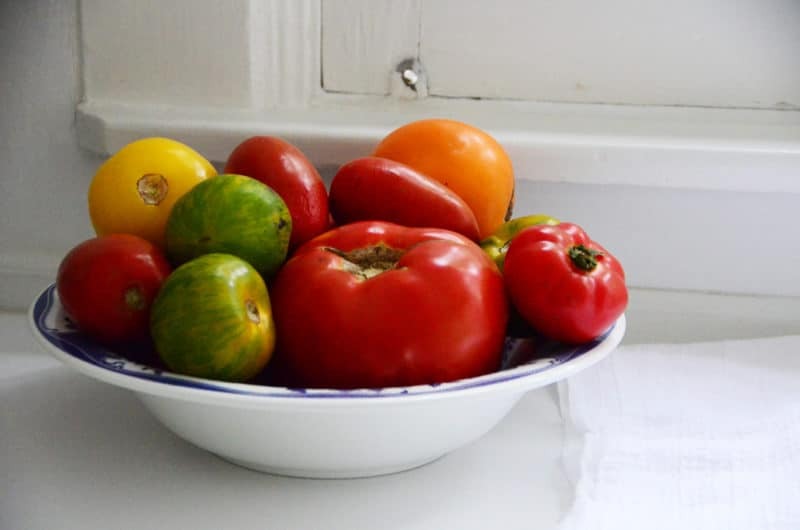 Roma tomatoes contain less water and won’t make the crust soggy. The fresh mozzarella can be drained of some of its liquid sliced and set on paper towels, but I tried it both ways and the cheese was not soggy on the pizza even when it was not drained. The dough can be made, of course, by hand, but I found the dough dramatically more beautiful, softer and stickier (which like pizza dough, is better for flatbread) made in the food processor fitted with the metal blade. 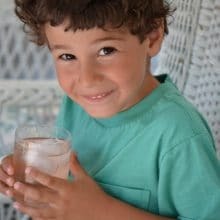 This recipe is based on Barbara Abdeni Massaad’s Man’oushe. Makes 4 10-inch pizzas, great as appetizers or with a green salad for a meal. In a large bowl or the bowl of a food processor, combine the flours and salt. Whisk together if making by hand; pulse a few times if using the processor. Proof the yeast in a small bowl. Mix the yeast and sugar together, then slowly add ¼ cup of the lukewarm water while stirring to combine. Set aside for 15 minutes until the yeast is foamy. Add the yeast mixture and the tablespoon of oil to the flour mixture. Mixing by hand, or with the food processor running, slowly pour in the remaining cup of warm water. Mix until combined and knead, if by hand, for 10 minutes until the dough is soft and elastic. If using the processor, run for a full minute after the water is added. The dough will form a ball and turn in the bowl as the machine runs. 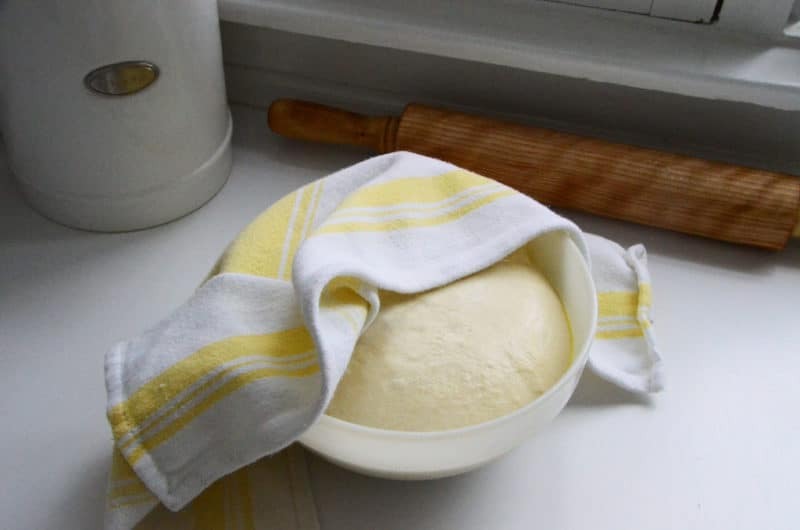 Set the dough to rise by placing the dough in a bowl that is completely but lightly oiled, and turn the dough so it is entirely coated with oil too. 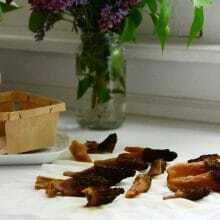 Cover the bowl with plastic wrap and then a kitchen towel and place in a warm spot until doubled in size, 1 ½-2 hours. Gently remove the dough from the bowl and divide into four evenly sized balls. Set the balls on a lightly floured surface and coat lightly with more flour. Cover with the plastic wrap and kitchen towel and rise for 20 minutes. Meanwhile, preheat the grill with the pizza stone, top closed, at high heat. If using the oven, place the baking stone in the bottom of the oven. Remove the racks or line them at the top of the oven. Heat the oven to 400 degrees for 20-30 minutes. Convection baking is ideal here, if possible. If you’re using convection, set the oven temperature to 425 degrees. Roll out the dough: lightly flour the work surface, the rolling pin, and the peel (or another overturned sheet pan to be used as a peel like a huge spatula). The flour acts as ball bearings for the dough to keep it from sticking to surfaces. Place one ball of dough on the floured surface and press down on it with the palm of your hand. 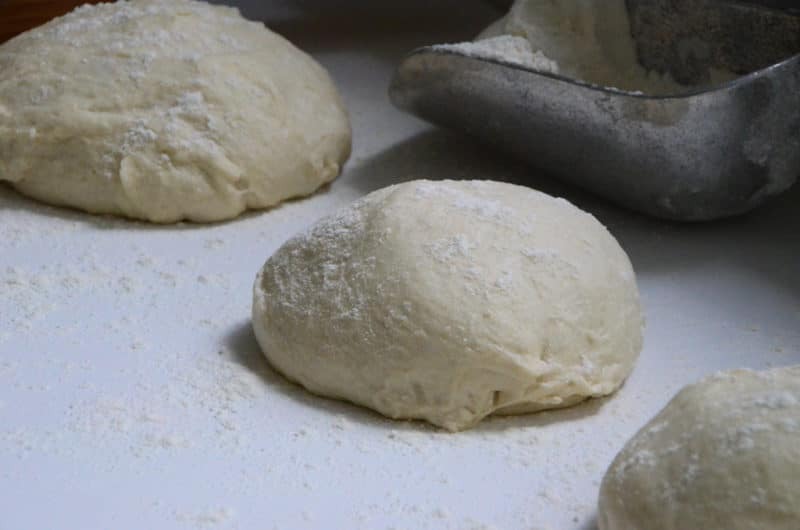 The key to getting the dough rolled flat and round is to keep it moving, which means turning it frequently throughout the rolling process and adding more flour lightly to the work surface as you go. 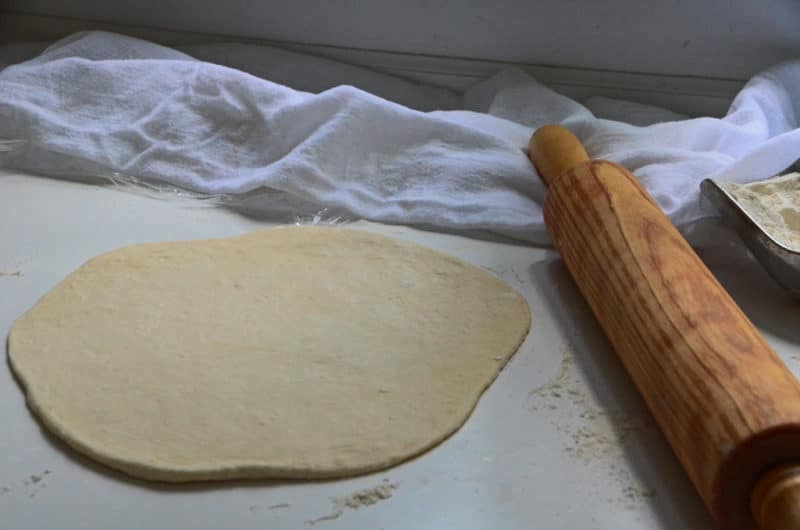 Roll the dough from the center of the circle to the edge a couple of times, then rotate it, and roll again, repeating until the dough is round and ¼ -inch thick. If you like a thicker pizza, roll to ½-inch thick. Coat the pizza peel liberally with flour. Gently transfer the rolled dough to the peel before adding the toppings. Brush the entire surface of the dough with olive oil. Sprinkle with za’atar (I use a few tablespoons). 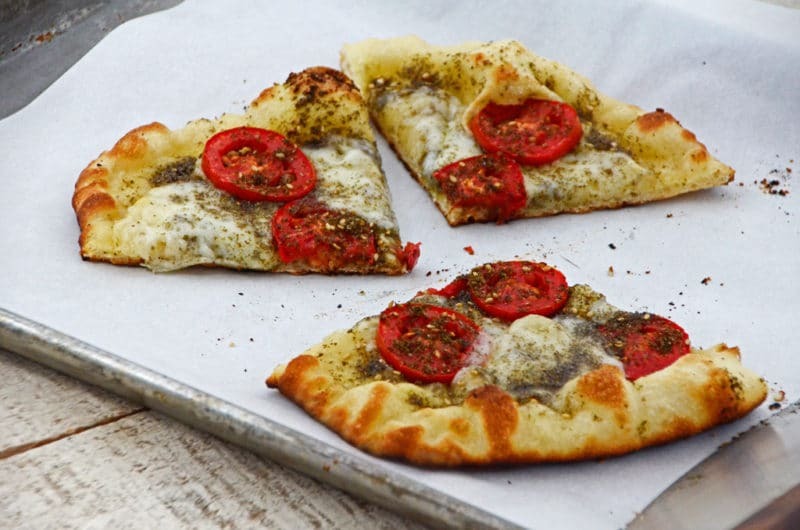 Top with tomato slices and mozzarella, and more za’atar. 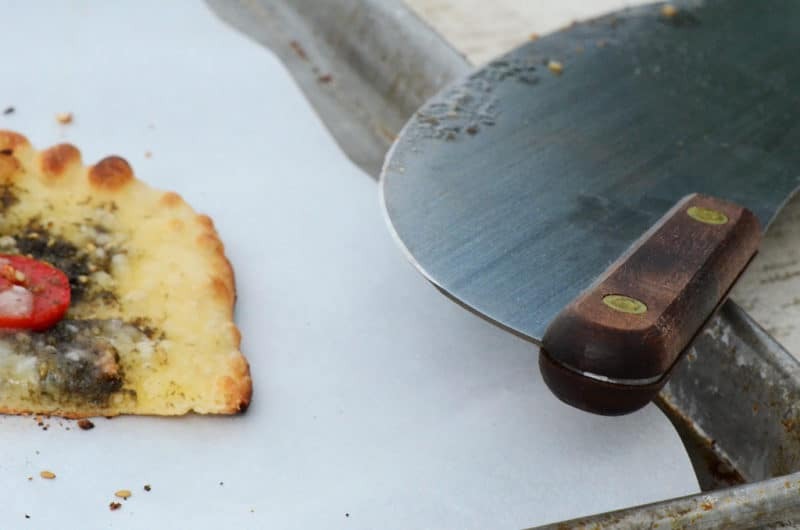 Spread 3 teaspoons of the za’atar mixture on the dough using the back of the spoon or your fingertips to get an even, thick spread. Leave a ½ -inch rim around the edge. Slide the peel under the dough, using two hands (to avoid misshaping the round) to pull the dough onto the floured peel. Place on the baking stone and grill (or bake) 5-7 minutes, or until the bottom of the crust is golden and the top is bubbly and golden. Repeat the process with each of the four balls of dough. 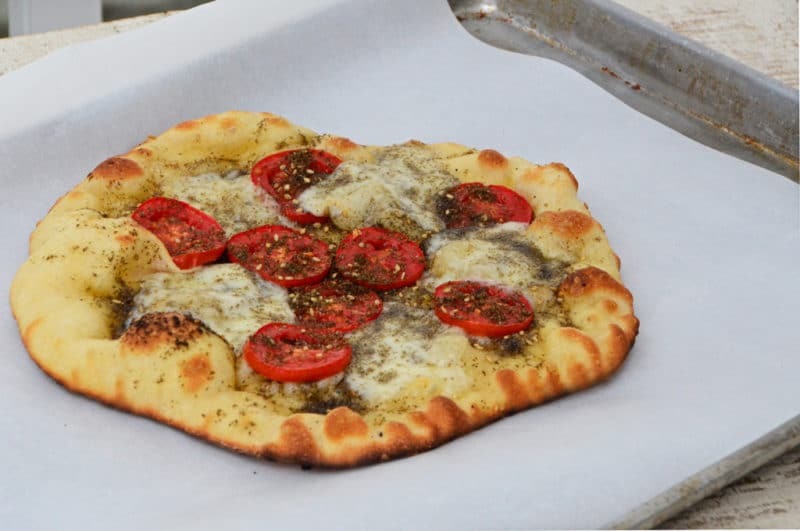 10 Responses to "Grilled Pizza with Za’atar, Tomatoes & Fresh Mozzarella Recipe"
Maureen, We do make great pizza at Crooked Tree Breadworks, but you have to work here to get it. We celebrate employee birthdays with pizza. I call it the CTB benefits package. Please let me know how it goes gluten-free, Linda! Beautiful! Thanks for the cake flour tip. I will certainly try this next time. Living where I do, like you, it is so difficult to find really good pizza. A recipe like yours is golden.Thanks again! 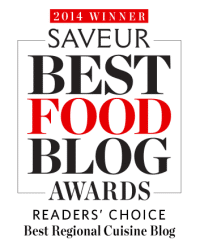 I recently discovered – and am enjoying – your blog…it’s warm and cozy and hits the sweet spot in my soul. I’m hoping you might give me just a bit more info about your grilling technique for this pizza: Do you use wood, propane, charcoal? 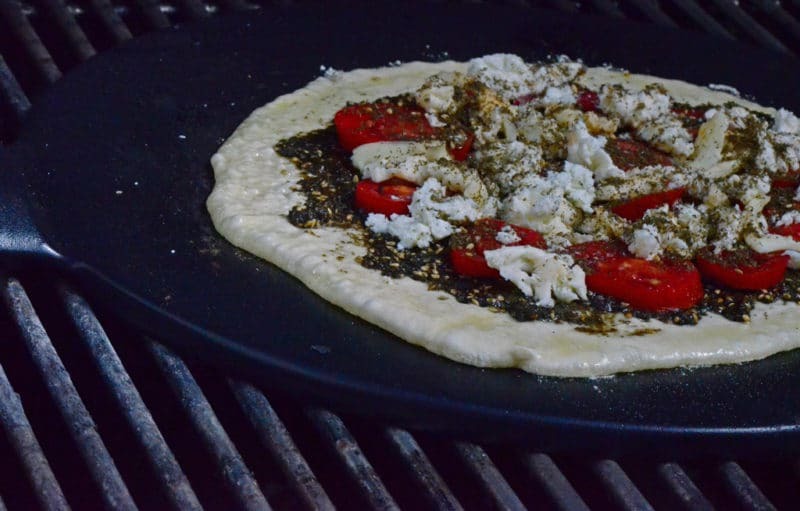 Do you use an actual pizza stone, or is it more of a metal/cast iron plancha-like surface (as it sort of appears in one of your photos)? Have you ever needed to add a bit of cornmeal to the flour on your peel? So far, that’s the only way i’ve been able to get a thin dough to slide smoothly off the peel and onto a stone, but maybe that’s just my lack of practice. Many thanks, in advance! Hi Tracey! Such kind and thoughtful words…thank you! I use a gas grill (how I’d love wood though! ), and my stone is just that, a pizza stone. The cornmeal can be helpful; I always keep the dough moving on the peel by shaking it frequently as I put toppings on, etc., so it doesn’t get too comfy and stick. 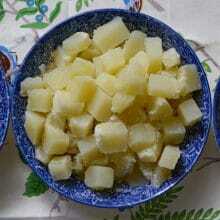 I also have used rice flour in the past and that works very well too, without imparting a flavor. I appreciate your tips…hope you enjoy all that this day offers : ).